The Kids Cooking Club at Cedaru00ae is a fun-filled, hands-on cooking and baking workshop experience that creates a platform to educate children about healthy foods and eating habits. 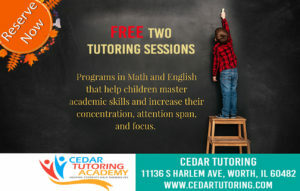 These workshops offered at Cedaru00ae allow your child to be creative while having fun. The best part isu2026you can leave the mess to US! During the cooking and baking workshops, kids will learn a whole variety of skills, such as fine motor development, speech development, perceptual skills, bilateral integration, and sequencing skills by mixing, weighing, mashing, pouring, and stirring. Come have some FUN in the KITCHEN. During the workshops kiddies learn a whole variety of skills such as fine motor development, speech development, perceptual skills, bilateral integration and sequencing skills, through: mixing, weighing, mashing, pouring and stirring. Come have some FUN in the KITCHEN.